Theatre is alive and well in Ireland. If we went to every play that’s put on within a twenty kilometre radius of Nead an Iolair all through the year we’d be exhausted. Every community seems to have its own acting group, while professional companies are always coming out to the wilds to perform in front of usually packed and enthusiastic audiences. Venues don’t get much wilder than the Community Hall on Sherkin Island, a small space beside an even smaller public library, both of which look out on to the idyllic view above. 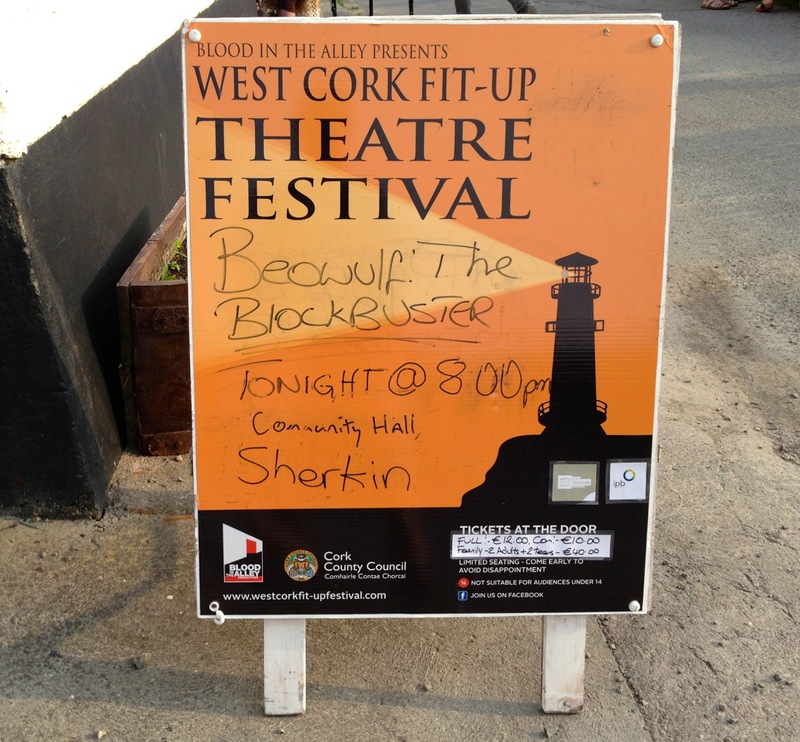 We went out on the late ferry to Sherkin recently to catch the West Cork Fit-up Theatre Festival’s production of Beowulf: The Blockbuster. The Beowulf story I know well: my good friends Michael and Wendy Dacre, back in Devon, have it in their repertoire and I have thoroughly enjoyed Michael’s renditions of some of the early English words accompanied by Wendy’s shadow pictures and songs. But this version was very different – written and performed by one man, Irish Times Theatre Award winning actor Bryan Burroughs and developed and directed by Edinburgh First Fringe winner David Horan. The story – commonly cited as one of the most important works of Anglo-Saxon literature – dates from before 1000 AD (there is a written version from that time in the British Museum). Bryan Burroughs sets it in a present day context: a father dying from cancer has a last chance to connect with his son, a boy with a fim-soaked imagination, and uses Beowulf to capture the boy’s attention. Sherkin gave the performance a deserved double standing ovation. We were bowled over by it. Here on this little shard of land in the far west of Ireland we had seen an epic tale enacted without any scenery: we had witnessed the Scandinavian warrior Beowulf defeating Grendel, a horrific swamp demon and then killing an even more terrifying monster – Grendel’s mother. All this on the floor of the unadorned Community Hall, the only ‘props’ being coloured lights. 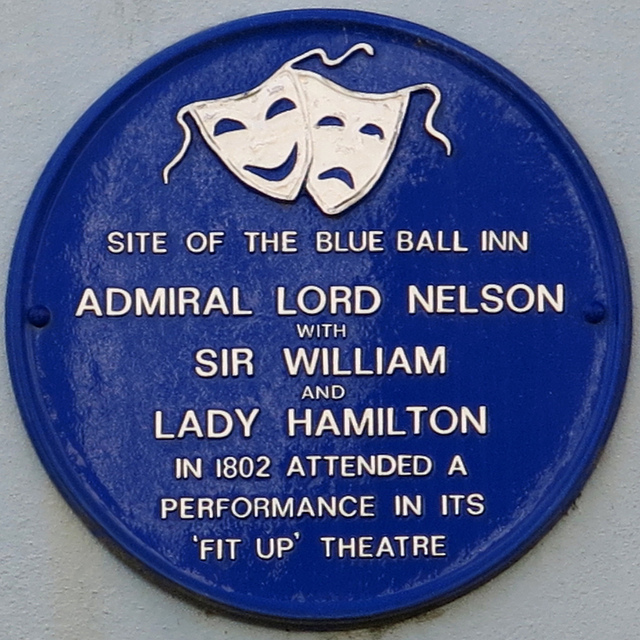 It’s sobering, perhaps, to think that this same production received rave reviews in New York: ‘PHANTASMOGORIC…dazzling, poignant…’ announced the New York Times, while the Sunday Times gave it 5 stars and said ‘…an utterly compelling, comic and vibrant one-man stage phenomenon…’ and here we were in faraway West Cork, where the Fit-up Festival is an annual event: it’s based on an ancient tradition – travelling players calling in on small communities and transforming a yard, a pub or just someone’s back room into a world stage. Fit-up means exactly what it says – ‘fitting up’ the space whatever its limitations, and the term goes back a very long way. Outside of our own Fit-up, Beowulf has inspired a large corpus of literature, critique and media retellings. Most notable, probably, is Seamus Heaney’s translation, pretty faithful to the Anglo-Saxon original. The fairly recent film versions have some entertainment value but don’t expect too much from their interpretations of the old texts. 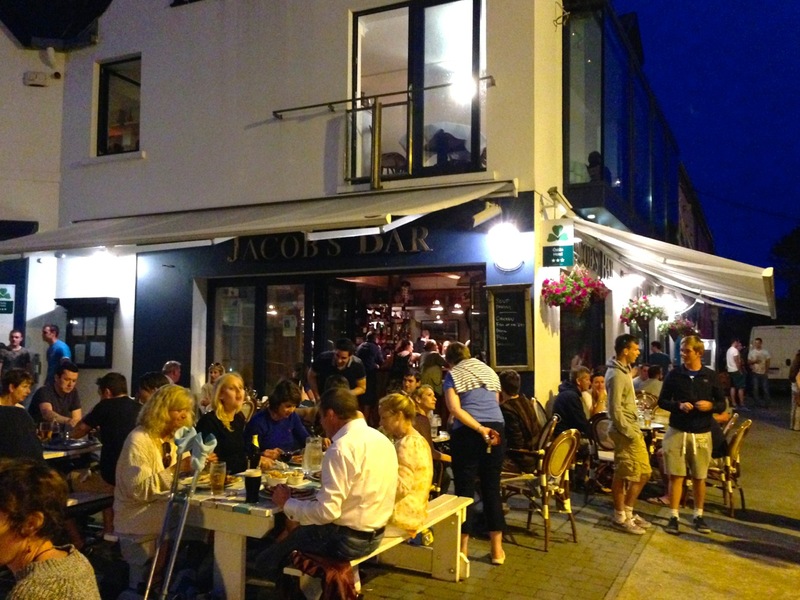 Just to finish, here’s a snippet worth listening to: an RTE sound documentary of reminiscences around the old ‘Roadshows’ in Bray, Co Wicklow in the middle of the last century – very much the spirit of the Fit-ups… Finola remembers them well! 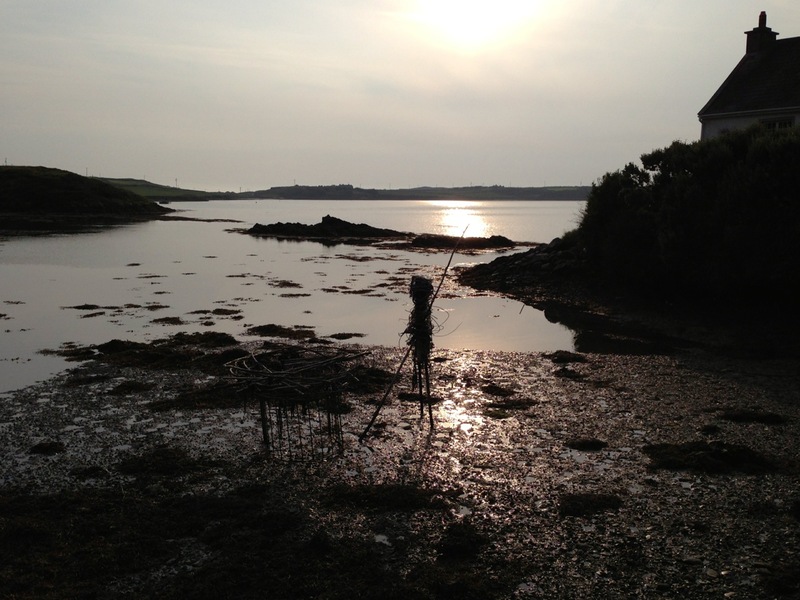 This entry was posted in Irish Culture, Roaringwater Bay, Sherkin Island, West Cork Blog and tagged Anglo-Saxon Literature, Beowulf, Beowulf: The Blockbuster, Bray Roadshow, Bryan Burroughs, David Horan, Fit-up Theatre, Sherkin Community Hall, West Cork Fit-up Theatre Festival. Bookmark the permalink. I should like to have seen it, Robert. Did you ever see Julian Glover’s one-man version? It was one of the shows that made me want to do storytelling. The Icelandic/Canadian film ‘Beowulf & Grendel’ is extremely good in its own right, with a brilliant script; but the Hollywood CGI film with Ray Winstone, Anthony Hopkins and Angelina Jolie is truly awful! No I haven’t seen that one, Michael. Thank you for putting me right about the films: I’ll look out for ‘Beowulf & Grendel’. It was a real tour de force wasn’t it – I don’t think we got the coloured lights though! We were full of admiration for his sheer skill and passion and it was such a hot night in Kilcrohane!